The Amiga Future Webpage now has a volume of 32 GB. The corresponding database has increased to 525 MByte. Currently the Amiga Future website has daily between 5,000 and 8,000 visits and 60,000 to 100,000 hits. In the month, this means the 200,000 visits and 2,000,000 to 3,000,000 hits. Every month over 60 GB of traffic is generated. At this point I would like to say that the height of the visits and hits is not so important. We want a webpage, with as many users as possible have fun. This is our primary goal. The increase in access numbers is, of course, a wonderful secondary effect. The Amiga Future webpage will be extended free of charge. At this point a thank you to all helpers! In the article database are now more than 4800 German and English articles and in the gallery more than 23,500 pictures. Meanwhile, we have 5200 files for free download online. Of these, around 500 are commercial full versions. The most popular download since the existence of the database is still Ports of Call, followed by Opus 5.5 and DigiBooster 1.7. The highest traffic consumption still has the AmiKit Mirror with us. But also the WinUAE Mirror is very popular. Most of the traffic (316 GB) has been required by the Foundation ISO. The Amiga software database will continue to work. Meanwhile, the database includes over 4500 entries and 6700 scans. In the cheat database are currently cheat codes, walkthroughs and hints and tips for 3415 Amiga games. This is one of the largest collections in the world. In fact, the entire cheats collection should already be translated into English and entered into a correct database. To this end, however, we still lack the resources. We expect several hundred euros to do this. The Amiga Future Every project is still under construction. An app for AmigaOS 3 and AmigaOS 4 has already been released. We are currently working on a MorphOS and Android version. Of course, we also want to offer the projects on other platforms. Since this is all done free of charge, it takes time of course. On the Amiga Future webpage there are currently 4200 users registered. Also note that the number of registered users for us is not a quality feature. So we do not want to specify it. So far, about 21,000 German and 9,800 English news reports have been published on the Amiga Future website. Of these, 1,100 German and 1,100 English news reports are from 2016. This is about 200 more than in 2015. The trend here is clearly rising but still not enough for us. Since we want to expand the news area, of course, we are always looking for interesting news-announcements. If you have published a program or a project please write us or use the news-form. Overall, there are 58,000 posts in the Forum so far. Of course, our calendar of events will be kept up to date. Here you will find practical information about each event on the subject Amiga. Our link database currently contains more than 600 references to other pages. The database is of course constantly updated. In 2016 we donated around 160 euros. A thank you to all donors at this point. 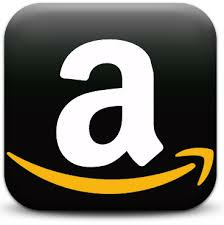 Amazon has helped us very much when it comes to the hosting costs of the Amiga Future webpage. The partner program has given us about 520,- Euro. The remaining costs are partly taken over by advertising and partly by APC & TCP itself. At this point, of course, a very important and big thank you to the complete Amiga Future team. Without the great help of around 50 users this webpage and of course also the print magazine would not be possible. For 2017, we have written on the agenda that we will expand the homepage as much as possible, technically optimize, in order to prepare us for the 20th anniversary of the Amiga Future.